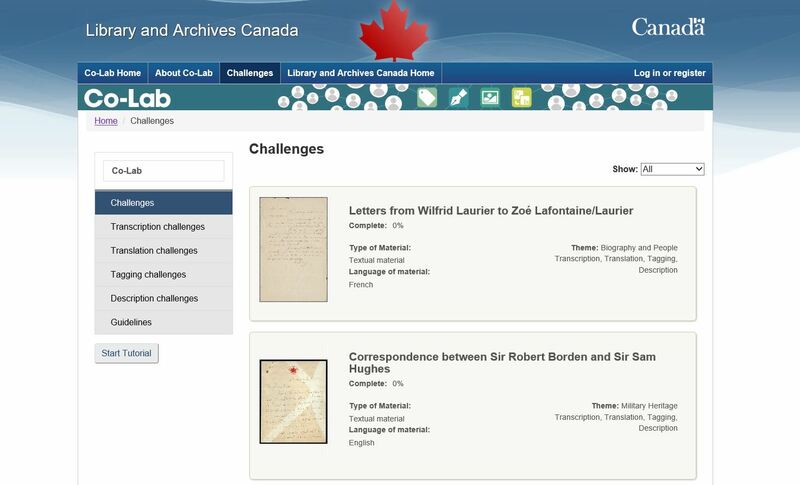 This entry was posted in Our Collection and Facilities, What's New at LAC? 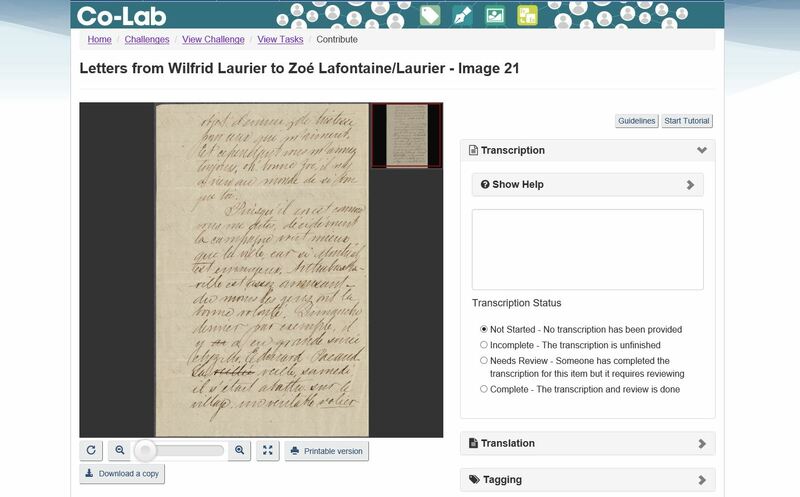 and tagged Co-Lab, crowdsourcing, tagging, transcription, Translation by Library and Archives Canada Blog. Bookmark the permalink. More than a decade ago I suggested a way of quickly and inexpensively copying nitrate negatives so that they could be subsequently given crowd-sourced identification. Any chance of something like this being carried out through Co-Lab or something similar? Thank you for the suggestion, I will pass it along . However, the images need to be digitized before they can be described or tagged. Great news! One question I have is will the end result always remain free to the public? Yes of course. The results are available immediately in Collection SearchBETA and will always be free of charge.